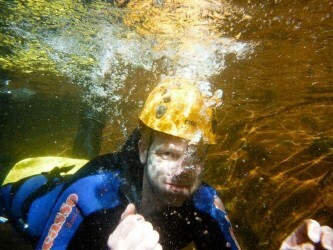 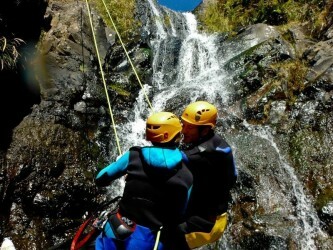 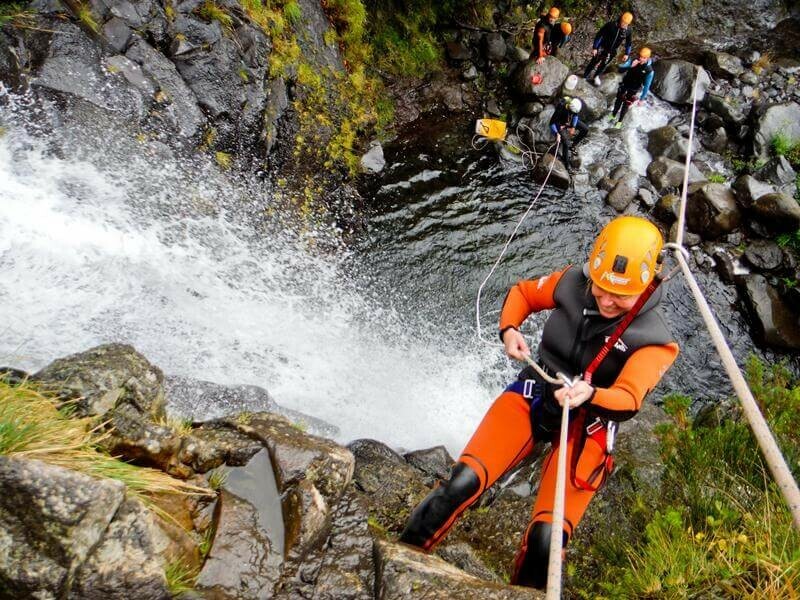 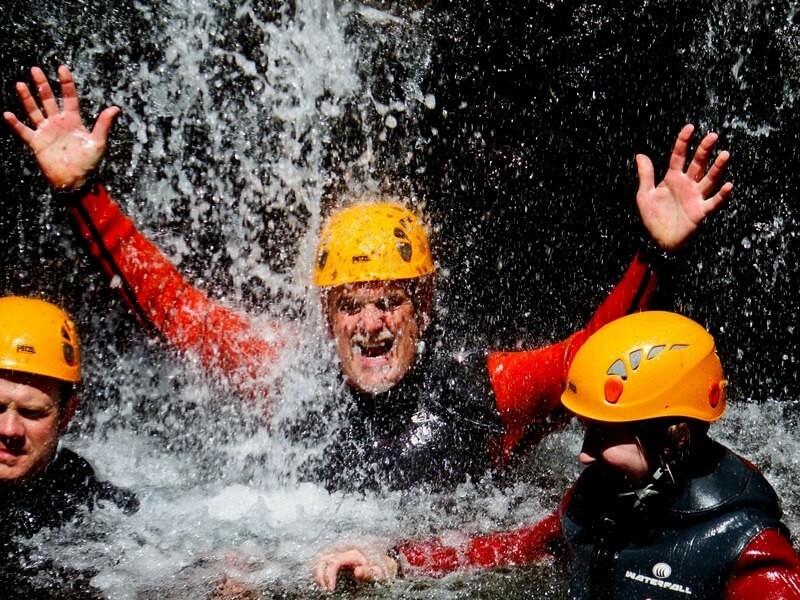 Canyoning in Ribeira das Cales – Level 1 starts in “Chão da Lagoa” in the Ecological Park of Funchal at approximately 1500 meters high. 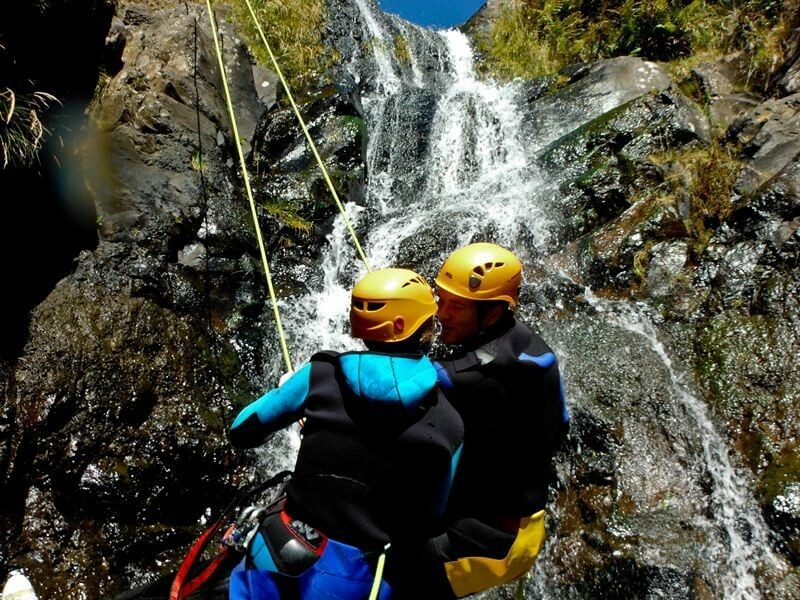 Canyoning in Ribeira das Cales – Level 1 starts in “Chão da Lagoa” in the Ecological Park of Funchal at approximately 1500 meters high. Along to the route we found 2 rappels. 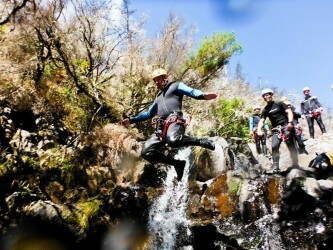 To overcome the obstacles of the nature we need to do rappel, swim and jump in order to advance. 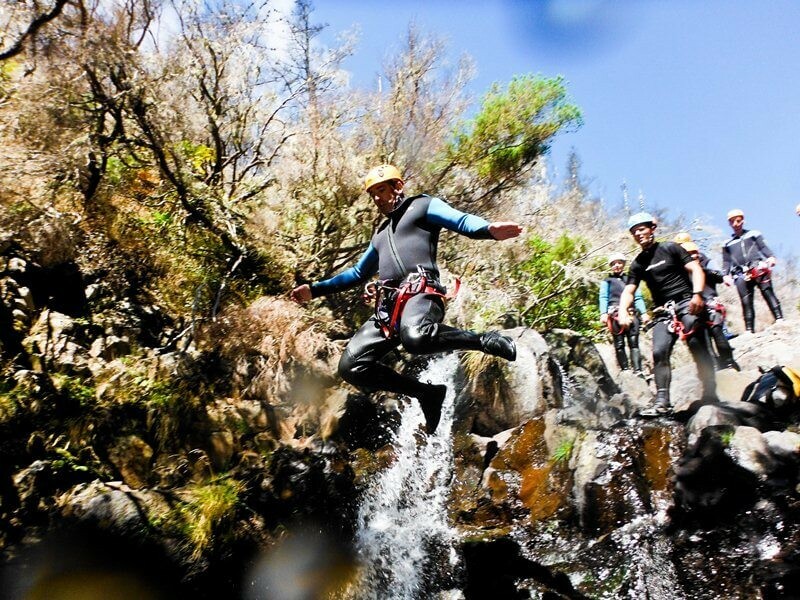 This experience is the best for all people who want to have the first contact with this amazing sport. Neoprene suit and socks, all the equipment needed (helmet, harness, connectors and eight approved by UIAA), a chocolate bar, licenses to carry out activities in the mountains, Canyoning guides, personal insurance (according to the Portuguese law) and transportation from the hotel to the activity and from the activity to the hotel. 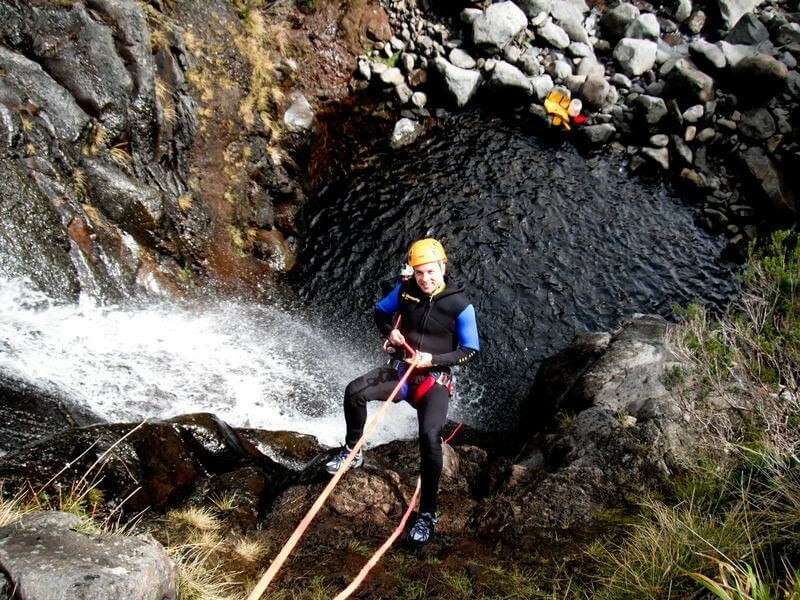 To do Canyoning you need to bring a towel, bathing suit, sport shoes that you don’t mind getting wet (sportive shoes like running or mountain boots, never sandals or diving shoes) and change of clothes.